A vital and important adjunct to aid in the successful application of cardiopulmonary resuscitation. Provides a firm, stable and texturized surface to prevent slippage. The head cradle opens airway and automatically places the patient in a favorable position to apply CPR. 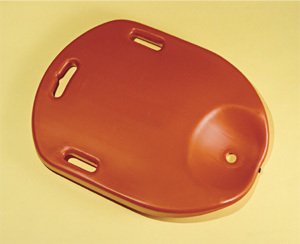 Handles allow easy movement of patient.